In recent years there has been an explosion of jazz acts coming through to the mainstream, and the genre is legitimately one of the most fertile and prolific in today’s UK music scene. I for one know that even outside of London, in places such as Sheffield, jazz is flourishing and garnering a lot of support. From sax player Kamasi Washington’s work with Kendrick Lamar, to the Mercury-Prize nomination of Brit jazz quartet Dinosaur, jazz is suddenly everywhere. 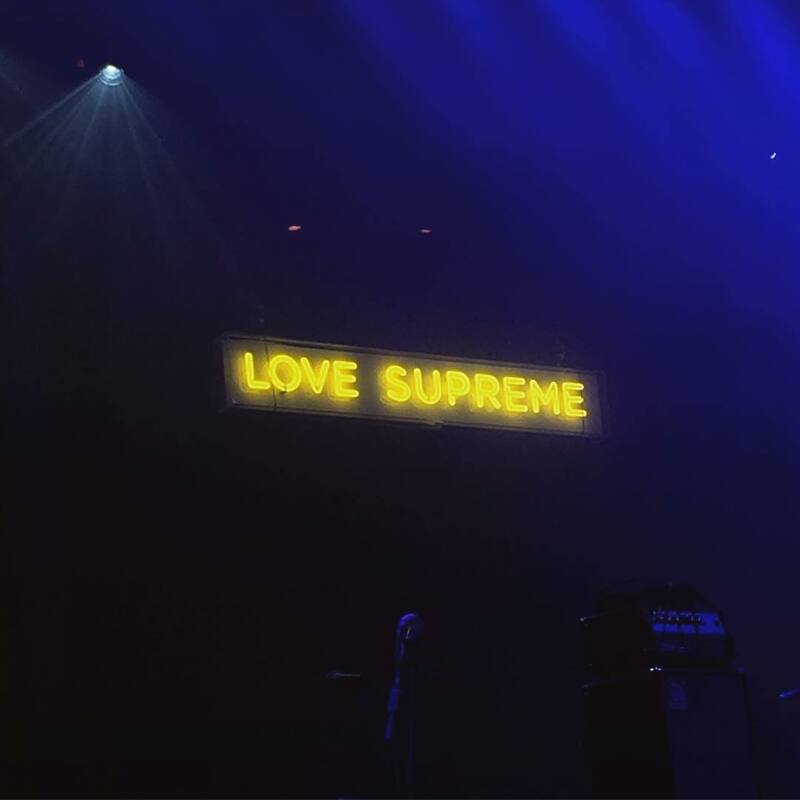 A couple of weeks ago, many tuned in to the coverage of the Cheltenham Jazz Festival, while in London, hundreds queued up at the Roundhouse in Camden, which was hosting the first ever one-day Love Supreme event (a prequel to the full Love Supreme festival taking place in Sussex at the end of June). 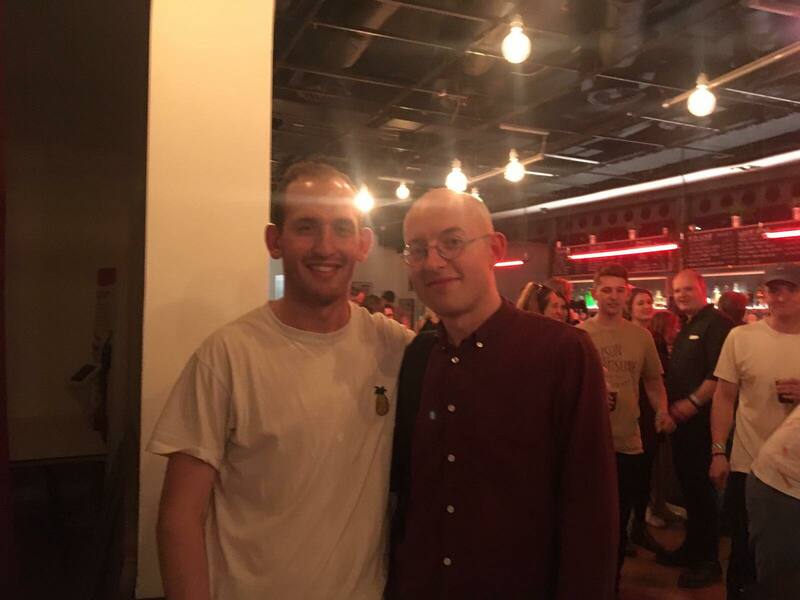 I was lucky enough to be in attendance. 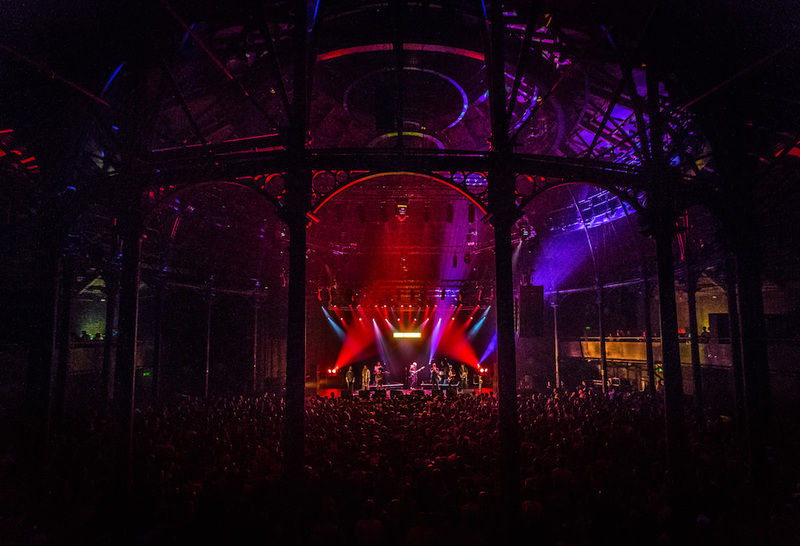 This was a day of idyllic grooves and a celebration of the breadth of talent in contemporary jazz from across the globe, with familiar names such as Cory Henry playing alongside fresh, newly-formed jazz outfits. The venue was able to capitalise on the glorious sunshine, opening up the roof terrace to host the EZH stage which saw Soccer96, for example, delight the crowd with their psychedelic synth and drums. Bringing the contemplative head-nodders out of their comfort zone with a set blending prog rock combined with polyrhythmic hard jazz, they also incorporated an earnest sax player shouting about world peace. It is musicians like these who are today’s avant-garde, masterfully developing on the notions of ‘pure’ jazz. And so, to the main Roundhouse stage, where there was slightly more space to enjoy the grooves, I began my evening with sax and drums trio Moon Hooch, who are a product of the New York busking scene, cutting their teeth on the reactions of those indifferent. Their set, which was based on beats undercut with lashing techno, repetitive hooks and saxophone was triumphant and encapsulated all that is nu-jazz. Recently released track ‘Acid Mountain’ sent the crowd into ecstasies. What was refreshing was the outfit’s swagger – even the insertion of an enormous traffic cone into the baritone saxophone was welcomed by the audience (a mix of old and new). A highlight of the evening was the joyous, riotous shindig orchestrated by multi-Grammy-winning US singer and keyboardist Cory Henry (of the jazz collective Snarky Puppy), and his Funk Apostles. Outside of his charismatic stage presence and audience interaction, he navigated his band through some classic covers – from ‘Stayin’ Alive’ to Prince’s ‘Controversy’. True, it would have been interesting to have more original Cory material, but due to time constraints, this was not possible. However, the sheer pride this musician takes in crafting his live shows is unrivalled and contagious. I don’t think I’ve seen so many people dance with random people in Camden before the hours of 9pm. Interspersed between frequent trips outside to top up my vitamin D levels and the bar for another kind of top of, the atmosphere around the place was electric. Not only were the acts working around amongst the punters, there were films on show (such as ‘The Revolution Will Not Be Televised’, a film depicting the life and times of Gil Scott-Heron). However, there is no doubt that the headline act Mr Jukes (aka Bombay Bicycle Club frontman Jack Steadman) is a crate digger extraordinaire. His ability to adapt and mix all styles of music to historic eras (such as jazz) and modernism is phenomenal. Here, he melded disparate influences and genres together into a captivating first solo album ‘God First’ (2017). Despite following the panache and swagger of Cory Henry, where Steadman seemingly had little interaction with the Roundhouse audience, he twiddled his modestly on his bass in a manner that felt dominant with the vigour of the session musicians which surrounded him. With Steadman often blending into the background, the set was refreshing as it highlighted the talents of his group (including three singers) and the power of the genre. They let the music do the talking. Running through almost every song off the debut album, alongside some cult classics like Lauryn Hill’s ‘Doo Wop (That Thing)’, Steadman and co. brought the conservative sounds to the foreground. Despite my personal love for the album and the show, let’s hope Mr Jukes’ next record brings out the real soul and not just Steadman’s record collection. Regardless, the set was a worthy microcosm of the general ethos of the Love Supreme event - a melting pot of genre-defying music. Let’s hope this becomes an annual event. Be sure to grab your tickets to the full festival [HERE]. Acts playing include the legendary Earth, Wind & Fire, Elvis Costello, George Clinton, as well as new acts such as Mr Jukes (again), Tom Misch, Songhoy Blues, and Ezra Collective.